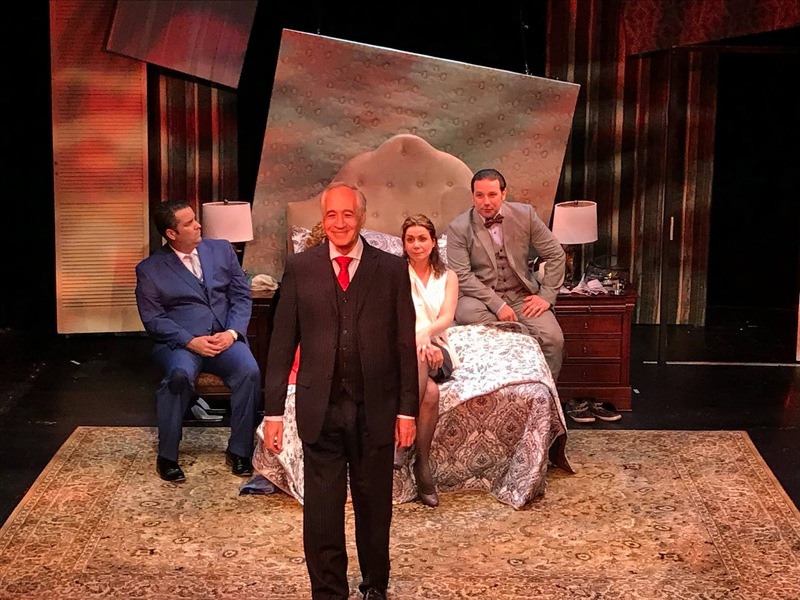 Juan Villarreal, shown standing, in character, at a curtain call, in the photo at right, is co-starring in the Ricardo Talesnik play La fiaca. Directed by Leyma López, the production has premiered in May at Repertorio Español, located in the Rose Hill neighborhood of Manhattan. For more information, click here. 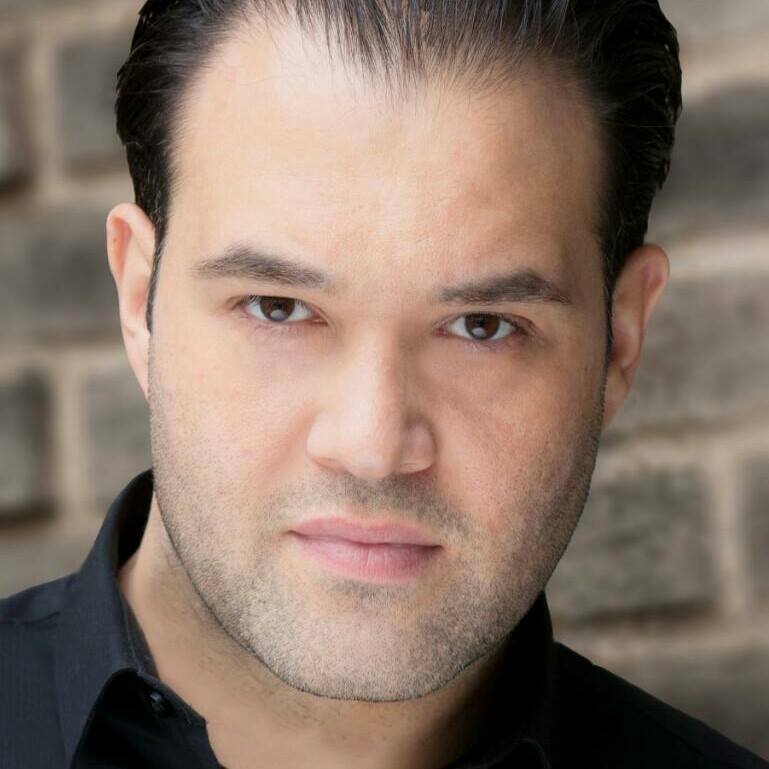 Pablo Andrade will be directing the Luigi Laraia play Too Close. The production is being presented in June at the Evi Auditorium in the North West quadrant of Washington, District of Columbia. 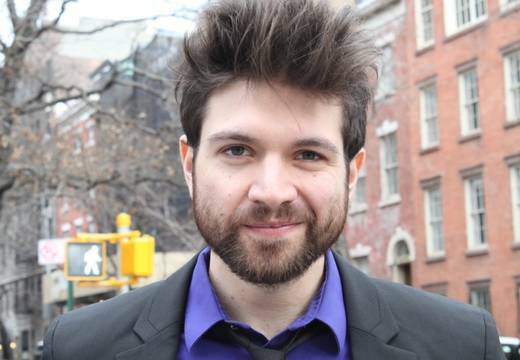 David Ponce is co-starring in the Óscar Liera play Cúcara y Mácara. Directed by Juan Roca, it is scheduled for a May and June run at the Havanafama Teatro Estudio in Miami, Florida. Aileene Pérez and Héctor Luis Rivera, shown at left, left to right, were featured in the Héctor Luis Sin Censura blog, where her starring in the titular role of the Teatro Experimental Blue Amigos (TEBA) production of Mirandolina (La posadera), directed by him, was noted. 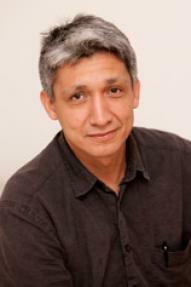 Also mentioned for his work behind the scenes of the production is Raúl Rivera. The play will be presented in June as part of the seventh annual Festival de Teatro Latino Del Comisionado at the Teatro Rafael Villalona at El Comisionado Dominicano de Cultura en EEUU, located in Manhattan's Washington Heights neighborhood. To read the blog, which is in Spanish, click here. Samuel Garnica and Mafer Rodríguez, shown at above left and above right, were mentioned in the Héctor Luis Sin Censura blog where their co-starring roles in the play Ni que nos vayamos nos podemos ir was noted. Written and directed by Lupe Gehrenbeck, the production will run in June at Santiago Rubio Hall in Manhattan's Chelsea neighborhood. To read the blog, which is in Spanish, click here. Fabián Zarta associate produced the film Finding God. Written and directed by Brittany Franklin, the film will premiere at Cannes Film Festival's Short Film Corner in Cannes, France. To see a trailer for the film, click on the video below. Caridad de la Luz (also known by her nom de poésie et de musique La Bruja), shown at right, was featured in Billboard magazine where her participation as one of the star performers of a tribute concert to the late Cuban singer La Lupe. Produced by The City College Center for the Arts (CCCA), Pregones Theater-Puerto Rican Traveling Theater, and the Caribbean Cultural Center African Diaspora Institute (CCCADI), the event, titled, "An Evening of Music Honoring the Legacy of the 'Queen of Latin Soul'" will take place on Friday, June 9, 2017 at Aaron Davis Hall in Manhattan's Harlem neighborhood. To read the article, click here. 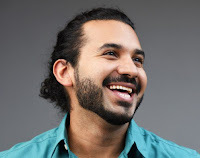 Víctor Cruz will be performing a standup comedy set at the ¡Ahora Mismo! Comedy, Music, and Afterparty event. Hosted by Rob Torres, it will take place on Saturday, June 17, 2017 at Evo Cocktail Lounge and Restaurant in the Castle Hill neighborhood of the Bronx. For more information, click here. Erick Betancourt, shown at left, was mentioned in Playbill, as a result of his role in the company of The Public Theater production of William Shakespeare's Julius Caesar. Directed by Oskar Eustis, the production is currently running through June at the Delacorte Theater in Central Park in Manhattan. To read the article, click here. Vladimir Ríos collaborated with photographer Lester Blum on two photo series: Warrior of Hope and I Still Remember, respectively. Both are photographic narratives taken by Blum featuring Ríos (who also served as artistic director) as the main or lead character. Both photo series have been published as photo books and are hitting the art gallery circuit. The next stop for the two photo series will be at the Bradbury-Sullivan LGBT Community Center in Allentown, Pennsylvania, where it will be exhibited in June and July. For more information, click here. Andreína Carvó, shown at right, was interviewed by the daily Venezuelan newspaper El Nacional, where the award-winning actress spoke about her career in her native Venezuela and in the United States (first in Miami, Florida, and currently in New York City). To read the interview, which is in Spanish, click here. Pablo Andrade, shown at left, was featured in the daily Venezuelan newspaper El Universal, where his role as director of the Corezon production of Federico Roca's Seis was highlighted. The production received five awards at the recent FUERZAFest Latino LGBTQ+ Festival in New York. To read the article, which is in Spanish, click here. Samuel Garnica and Mafer Rodríguez are co-starring in the play Ni que nos vayamos nos podemos ir. Written and directed by Lupe Gehrenbeck, the production will run in April at Santiago Rubio Hall in Manhattan's Chelsea neighborhood. 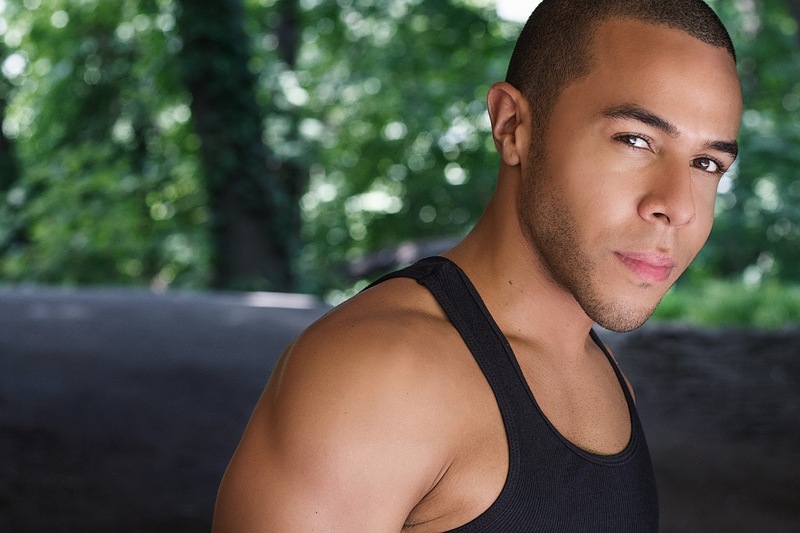 Alfonso Rey co-wrote, co-produced, and stars in the short film #Popular. Based on the award-winning solo show of the same name (written by Marcos Purroy and Rey), the film is directed by José Luis Beneyto, who also co-wrote the screenplay. For more information, click here. The American Theatre Wing and The Village Voice announced the winners of the 62nd Annual Obie Awards, which recognize the best in Off-Broadway theatre, on Monday, May 22, 2017 at Webster Hall, in Manhattan's East Village. 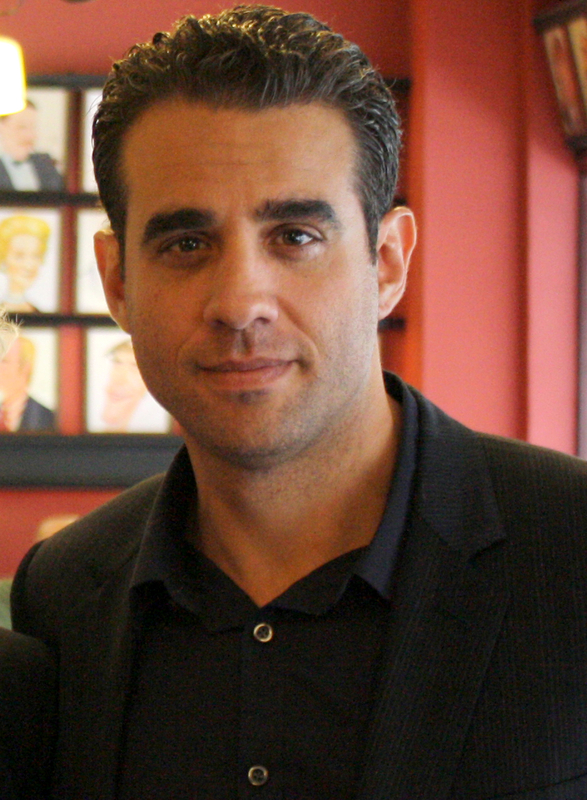 The 2017 class of Obie Award winners include former HOLA Award honoree Bobby Cannavale, shown at right, who won a Performance award for The Park Avenue Armory's production of The Hairy Ape; Lileana Blain-Cruz, for directing the Signature Theatre Company production of Death of the Last Black Man in the Whole Entire World; and designer Riccardo Hernández for Sustained Excellence in Design. The Obie Award judges panel for this season included Village Voice columnist and longtime chair of the Obie judges Michael Feingold, Obie and Pulitzer Prize-winning playwright Ayad Akhtar, Entertainment Weekly theatre critic Melissa Rose Bernardo, Obie-winning actor-singer Darius de Haas, Village Voice theatre critic Miriam Felton-Dansky, Obie-winning actor (and former HOLA Awards honoree) Daphne Rubin-Vega, and Obie-winning actor J. Smith Cameron. For more information, including a list of all the 2017 Obie Award winners, click here. The Corezon production of Federico Roca's Seis (directed by Pablo Andrade, shown at right) won Best Production at the 2017 FuerzaFest LGBTQ+ Festival, which was produced by the Hispanic Federation and took place in May at the Julia De Burgos Performance and Arts Center in Manhattan's El Barrio neighborhood. 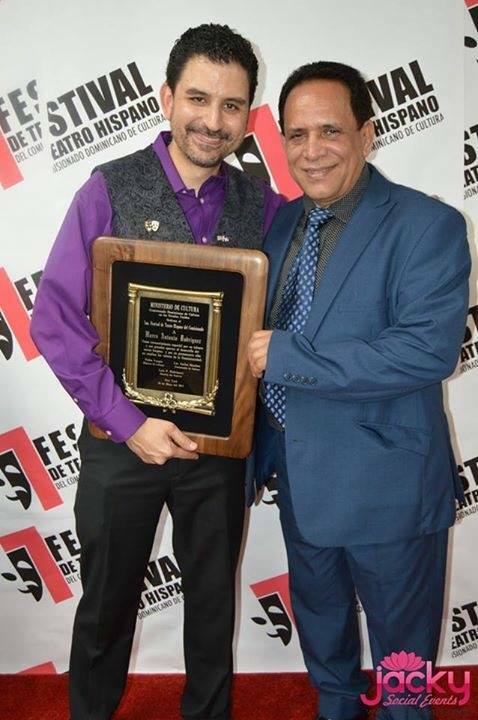 Andrade also picked up a Best Director award and the production also picked up awards for Best Actor, Best Actress, Best Playwright (in a tie with Joselo Arroyo for his play Máscaras afuera, produced by Edna Lee Figueroa). For more information on the festival, click here. 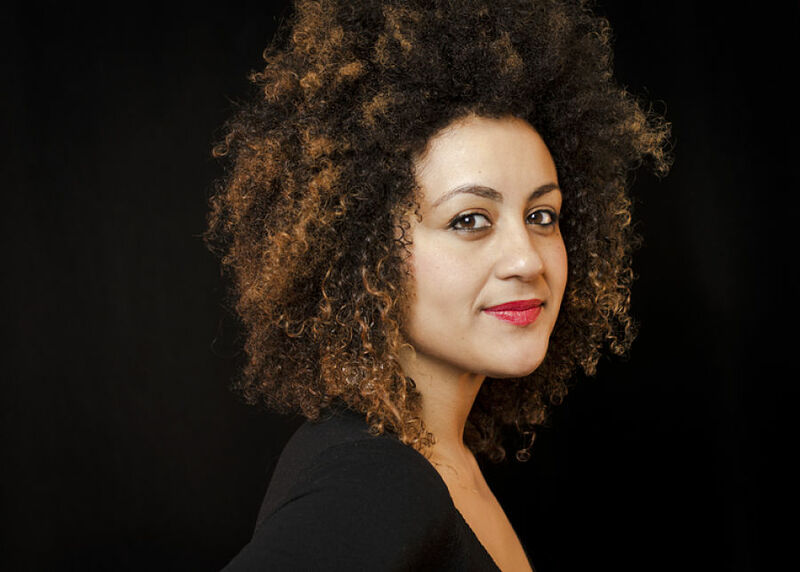 Caridad de la Luz (also known by her nom de poésie et de musique La Bruja) recently performed at the Using Her Voice: A Performance event where she headlined alongside Mahogany L. Browne, Natalie Caro, Jane Gabriels, and Jess X. Snow. The event took place in May at Wave Hill, in the Riverdale area of The Bronx. For more information, click here. She will also be a special guest performer at the concert performance of Gilberto Velásquez (Don Sonero) on Sunday, May 27, 2017 at the West Gate Lounge in Nyack, New York. For more information, click here. Cedric Leiba, Jr., shown at left, is co-starring in the Pregones-PRTT production of El Bolero Was My Downfall. 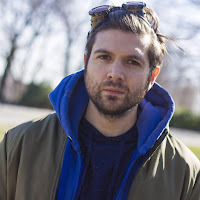 Based on the Manuel Ramos Otero short story "Loca la de la locura", the piece was adapted and directed by Jorge B. Merced (who also stars), and will be presented in June at Pregones Theater, located in the Mott Haven section of the South Bronx. For more information, click here. 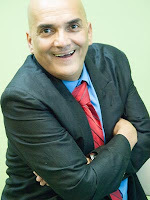 Gabriela García, Joseph Meléndez, Olga Merediz, Luis Salgado and Allison Strong are among the Broadway veterans who appear in the R.Evolución Latina webseries "Faces of Broadway". To see the first two webisodes, click on the videos below. Marco Antonio Rodríguez, shown at left, holding plaque, with El Comisionado Theater Director Luis Felipe Rodríguez in the photo at right, was featured in both the Héctor Luis Sin Censura and El Blog de Pablo blogs (edited by Héctor Luis Rivera and Pablo García Gámez, respectively), on account of him being honored with having the seventh annual Festival de Teatro Latino del Comisionado dedicated to him. The international theater festival runs from May through July at the Teatro Rafael Villalona at El Comisionado Dominicano de Cultura en EEUU in Manhattan's Washington Heights neighborhood. To read the blogs, which are in Spanish, click here and here. Caridad de la Luz (also known by her nom de poésie et de musique La Bruja) will be performing at this year's annual 152nd Street Festival. Produced by the National Puerto Rican Day Parade, the event will take place on Saturday afternoon, May 27, 2017 on East 152nd Street between Jackson and Westchester Avenues in the Melrose area of the Bronx. For more information on the festival, click here. Adela María Bolet directed James Pyecka's self-penned solo show Liv'in The Dream. The production took place in May at Polaris North, located in the Chelsea/Penn South area of Manhattan. Manuel A. Morán (also see below) and Jeannie Sol (also see below) will be performing in Rafael Hernández: Romance. A musical revue of the songs of prolific Puerto Rican composer Rafael Hernández, the revue is created and directed by Morán and will be presented in June as part of the Arte Pa' Mi Gente/Art For All Festival, taking place al fresco in La Plaza outside The Clemente Soto Vélez Cultural and Educational Center (home to HOLA) in Manhattan's Loísaida neighborhood. For more information, click here. 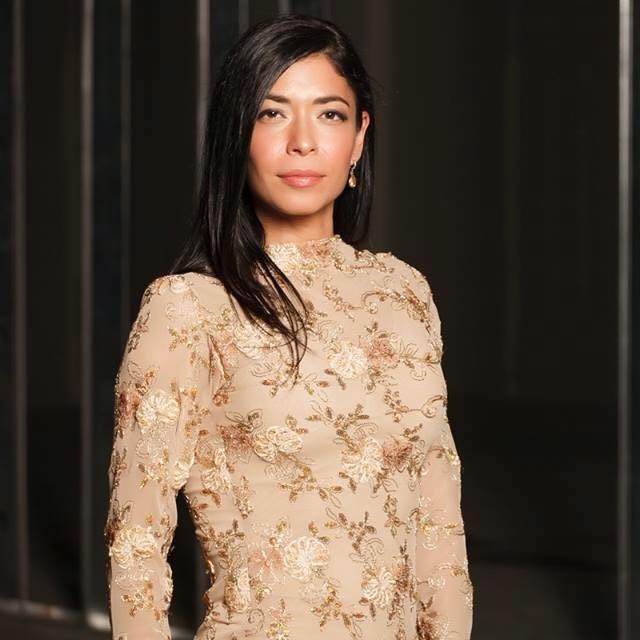 Adriana Sananes' voice can be heard playing The Female Goat Reporter and The Director in the Teatro SEA production The 3 Pigettes & The Big Bad Lady Wolf/Las 3 cerditas y la loba feroz. An all-female adaptation of the children's musical Los 3 cerditos by Elsia Luz Cruz Torruellas and Manuel A. Morán (also see above), this version is also adapted (with additional lyrics and music) by Morán in a bilingual version by him and Richard Marino, with new music and orchestations by Manuel Calzada (based on the original score) by Marvin Cardona. 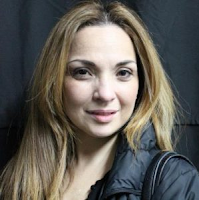 The production co-stars Indra Palomo and Jeannie Sol (also see above) and boasts the original choreography of Michael Capecci, is directed by Morán and will run in April at Teatro SEA, located in The Clemente Soto Vélez Cultural and Educational Center (home to HOLA) in Manhattan's Loísaida neighborhood. Edward Azcorra is co-starring in Allá en Monte Calvo. 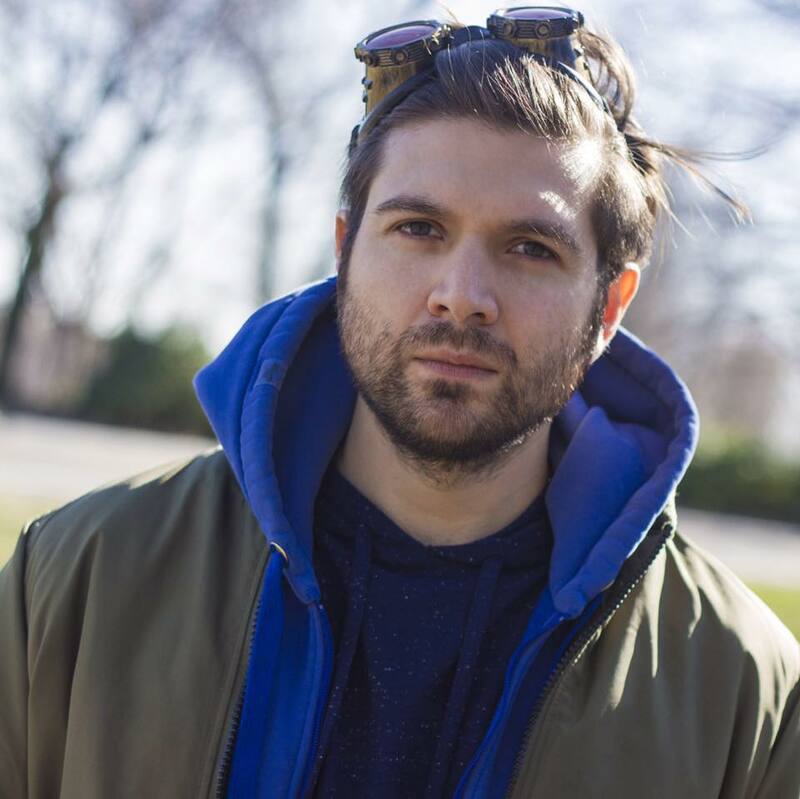 An adaptation of the Jairo Aníbal Niño play Monte Calvo, the play is adapted and directed by JJ Franco and will be presented in May at The Producers' Club, located in the theater district of midtown Manhattan.